Composed by Joseph Guy Marie Ropartz (1864-1955). Brass - Trombone Solo; Masterworks; Solo; Solo Small Ensembles. Kalmus Edition. 20th Century; Masterwork; Romantic. Part(s). 20 pages. Kalmus Classic Edition #00-K04564. Published by Kalmus Classic Edition (AP.K04564). 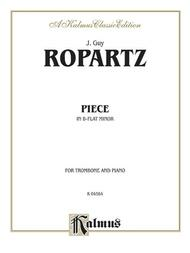 Joseph Guy Marie Ropartz (1864--1955) was a French composer and conductor. His musical style was influenced by Claude Debussy and Cesar Franck. 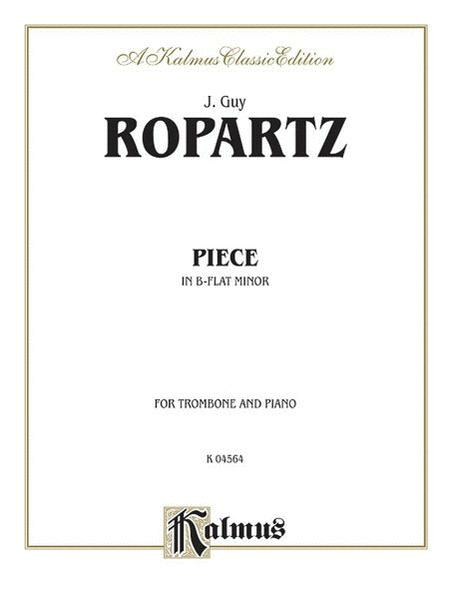 His "Piece in B-flat Minor" for trombone and piano shows the influence of both the romantic and impressionistic eras. Score for trombone and piano, and a separate score for the trombonist.